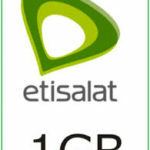 Etisalat EasyBusiness is a scheme launched by Etisalat for Small and Medium Enterprises (SMEs). The suite is designed to add value to SMEs, increase their profitability and serve as a one-stop-shop for all their communication needs, which includes data, cheap call rates, free SMS etc. The plan comes in five variants for you and your employees to enjoy flexible and affordable voice & data bundles. It offers an all-in-one solution made to cater for all your business needs. Access your favorite Windows Applications/Files/Media from your Android/iOS device on a virtual desktop by CloudDesktopOnline.com along with Desktop as a Service (DaaS) feature. Visit Apps4Rent.com today to enquire about hosted cloud solutions. Business 2000 to enjoy 150 mins and 1.5gb at N2,000, dial *246*4*21#. 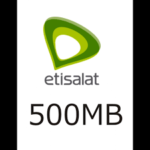 Business 5000 to enjoy 300mins and 5.0gb at N5,000, dial *246*4*22#. Business 10000 to enjoy 650mins and 10Gb at N10,000, dial *246*4*23#. Staff 1000(data) to enjoy 70mins and 750mb at N1,000, dial *246*4*business number*22#. Staff 1000 (voice) to enjoy 150mins at N1,000, dial *246*4*business number*21#. Cost saving tariff within bundle. Bundle customisation with add-on solutions e.g. 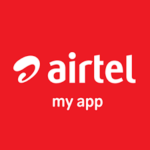 insurance plan, CUG, chat pack, international call bundle and more. 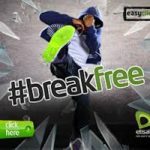 The Etisalat Easybusiness plan isn’t meant for just business owners alone, if you are a person that makes a lot of phone call and also uses as much data, you might want to subscribe for this service and here’s why; It is Cheaper and Strikes the Perfect Balance: Let’s take a look what you can get for just N2,000. You get a 1.5gb and 150mins (2hours: 30mins). Whereas with N2,000 you get just 2.5gb data value and that doesn’t cover your phone call needs. If you were to subscribe for 1.5GB directly, it would cost you N1,200 and we all know that N800 wouldn’t give you 1hr:30mins worth of call time. 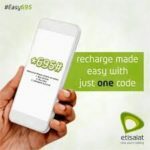 The cheapest Etisalat voice paid prepaid plan is “Easylife 4.0” and it only offers you access to 11k/s at the rate of N5 per day, if we were to calculate N800 without even considering the N5 daily charge, you would only get a little over 2 hours of talk time. You also get to enjoy 20 free SMS monthly to any network in Nigeria. You can add your Office number or that of one of your staff or as the case maybe your loved ones or partner to this bundle to enjoy the service, depending on what you think the need might be “Voice or Data”.